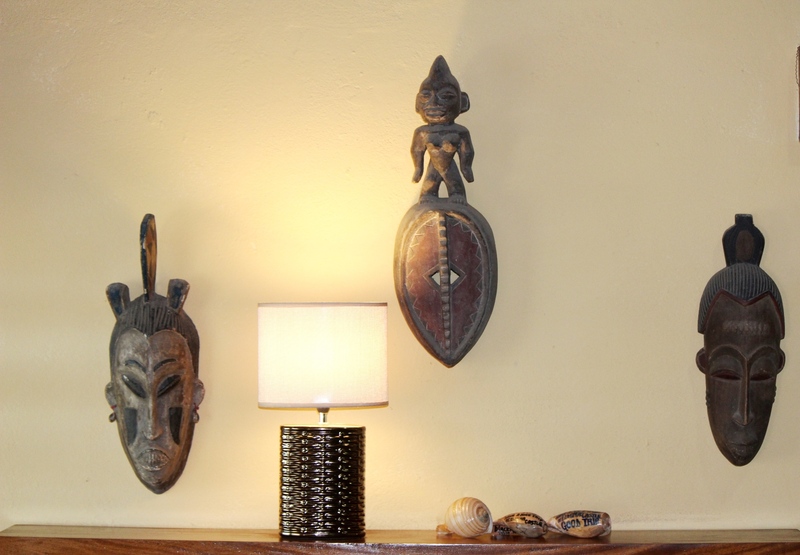 Relax at the Ayikoo Beach House • Right at the ocean! A fantastic location to spend the Nieuwjaarsduik 2019! 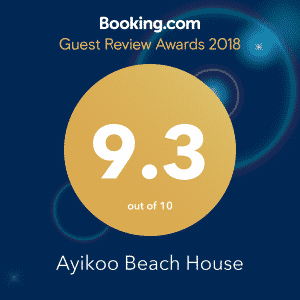 We have been well taken care off by the “concierge” at Ayikoo Beachhouse. We wanted to have a BBQ and asked Immanuelle to pick up fish from the village! He returned with a beautiful fish that he helped to clean and BBQ. The next day we were keen to have lobster for dinner. Again Immanuelle picked up a bucket of lobster that we cooked for dinner the next day! 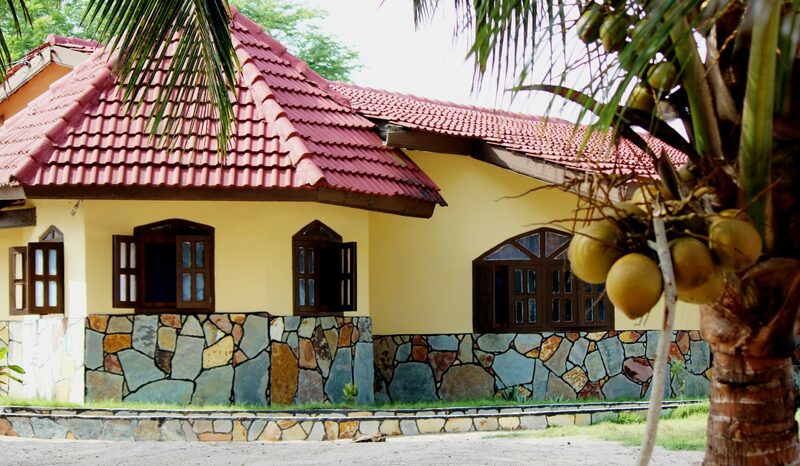 Walking distance for food and/or drinks at KoSa Beach and Charlestina beach resort. We enjoyed a great New Year’s Eve in Ampenyi! Cool beach house for a family time together. Had an amazing time at the Ayikoo Beach House. The view is out of this world! The accommodation is comfortable, well maintained and very welcoming. Highly recommended! At just a 20 minutes drive from the historic town of Cape Coast and the colonial castle in Elmina, you’ll find the ‘Ayikoo Beach House’. The ‘Ayikoo Beach house’ is perfectly located in tropical idyllic surrounds with a quiet sandy beach right at your doorstep. 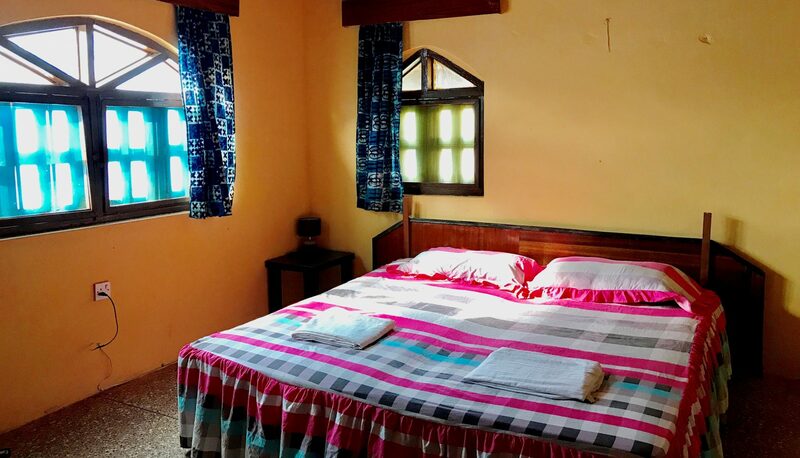 Basic yet fully furnished with 4 spaceous bedrooms (2 large doubles and 2 smaller doubles), 4 bathrooms, a large living room and a cosy veranda with a stunning view over the Atlantic Ocean. 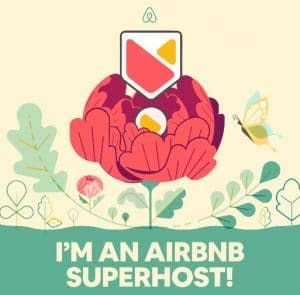 Make your reservation & check our prizes here! A stay at the beach house is a unique experience; watching the sunset whilst local fisherman take their canoos to shore after their nightly fishing. Or just wandering off on the endless stretch of beach, far away from hectic city life. A perfect place to allow your Ghana impressions to sink in. Check out more pictures from our Beach House here. 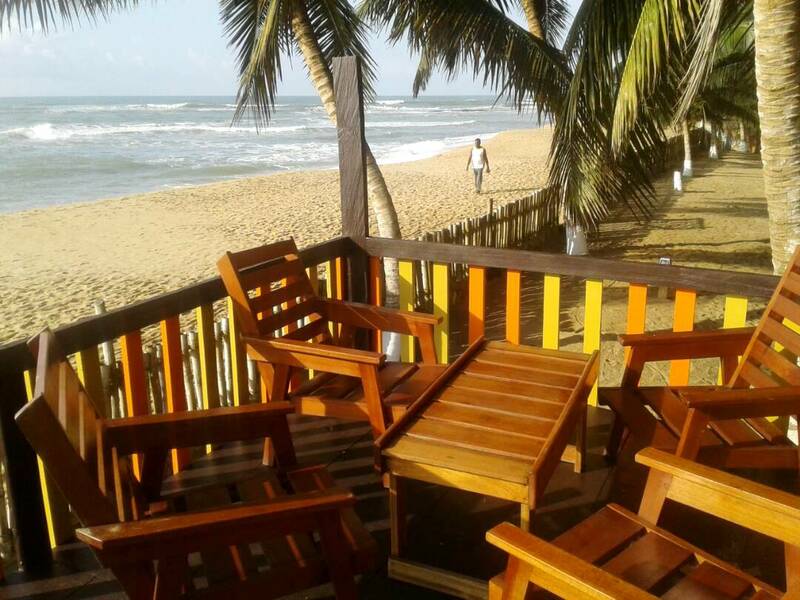 The Beach house is near Cape Coast, the canopy bridges in Kakum national park, as well as the British and Dutch colonial castles along the coast, keeping the memory of the tragic slave trade alive. For car rental service with a guide to Kakum, Elmina Fort and Cape Coast check our offer here. Ghana has a wide variety of fresh fruit. There are many fruitstalls at Ayensudo junction selling mango, watermelon, pineapple etc (just a 5 min. drive from the house). Fresh coconuts are in our garden. Fishermen sell their catch of the day right on the beach. So... do a seafood barbecue! You can find utensils and a bbq in the kitchen. Charcoal is easily available in the village. The garden has its own fireplace. 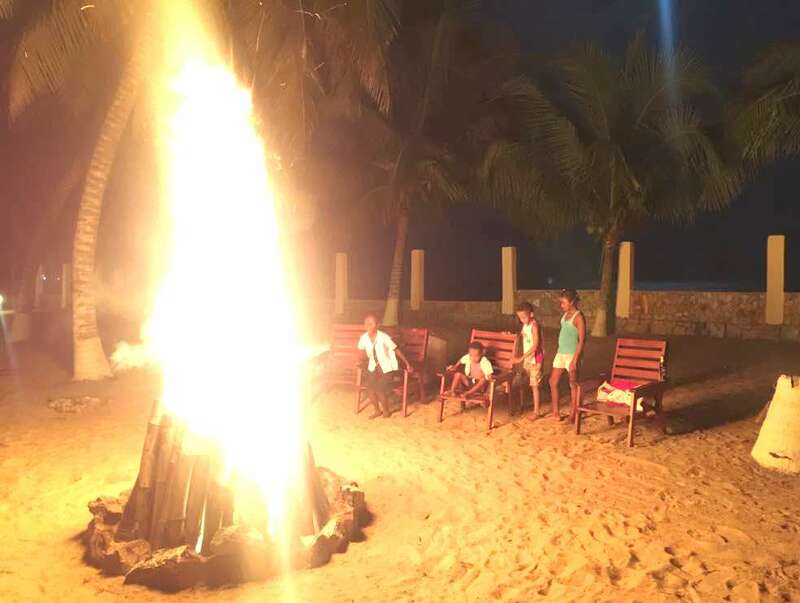 Enjoy a good old bonfire with a glass of wine, the stars, the moon and the sound of waves in the background. Bring some marshmellows along to roast, if you have kids.